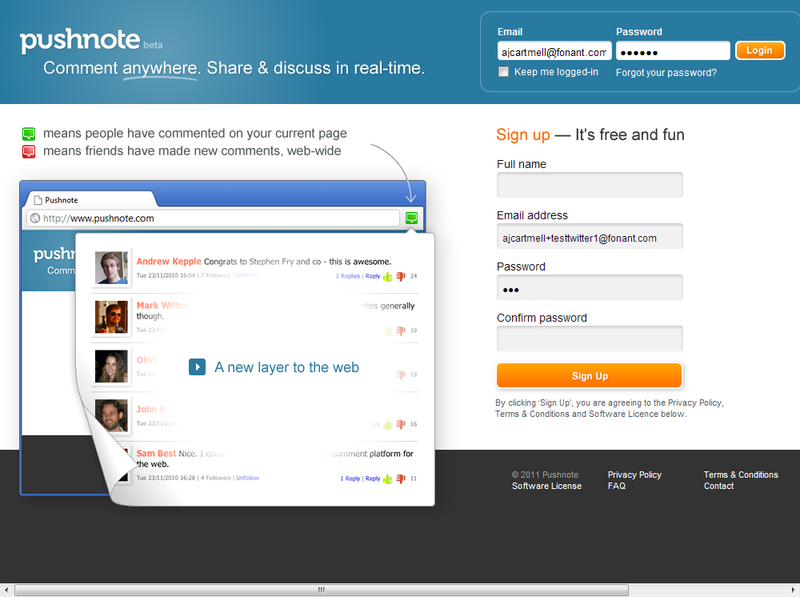 Pushnote was a system that allows people to comment publicly on any website on the internet. 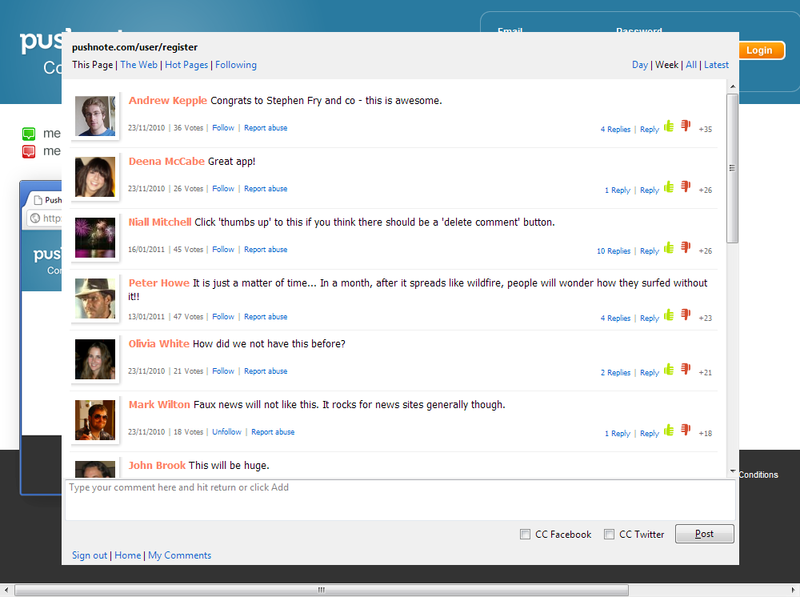 The site had Stephen Fry as a business partner, so had a relatively high profile on the internet. To cope with the expected large initial demand, when Mr Fry tweeted about the new site, the system was installed on three dedicated servers at RackSpace, plus a firewall and load balancer. Within an hour and a half of Pushnote being advertised to Stephen Fry's Twitter followers, the site had seen 32,000 unique visitors (an average of 6 new visitors per second) and 2,500 new users signed up (an average of one new user every two seconds). 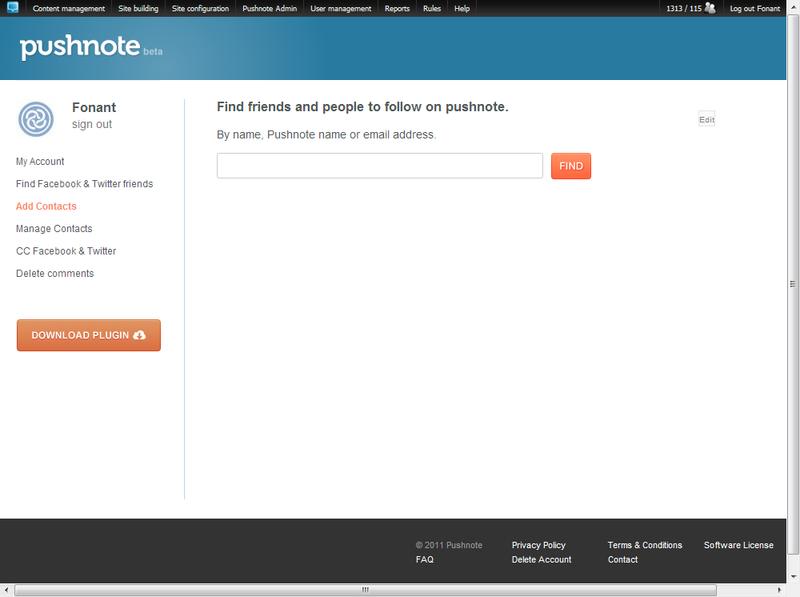 A day later the number of site users had more than doubled to 5,600, and after 12 days there were 11,500 users of Pushnote. Sadly the Pushnote system was taken off-line in June 2012 for undisclosed reasons.